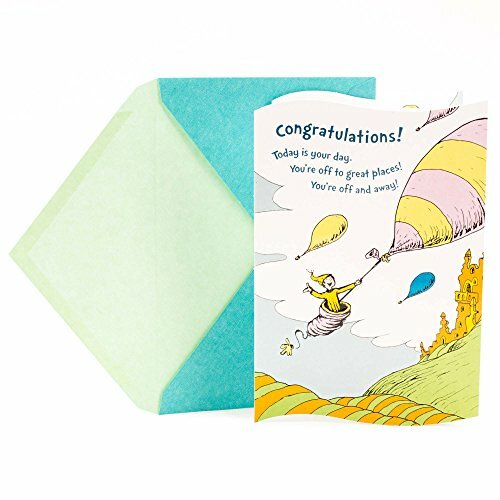 Front Message: Congratulations! Today is your day. 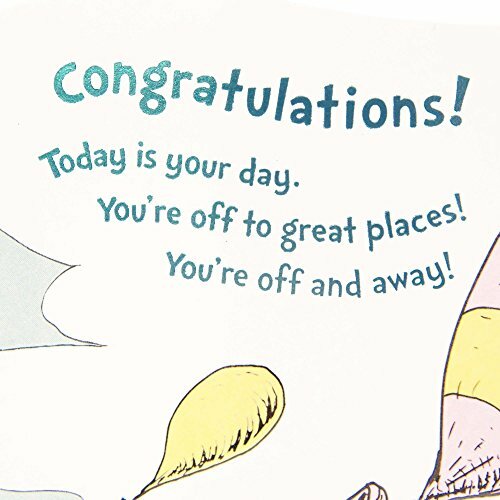 You're off to great places! You're off and away! 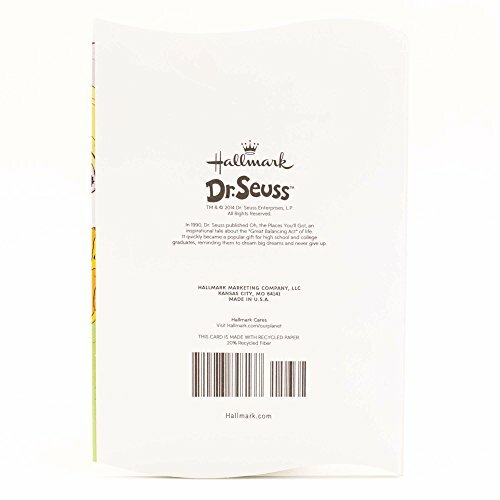 Inside Message: As vast as your vision can show, As high as your highest dreams grow, As far as your passion can reach-- These are the places you'll go. 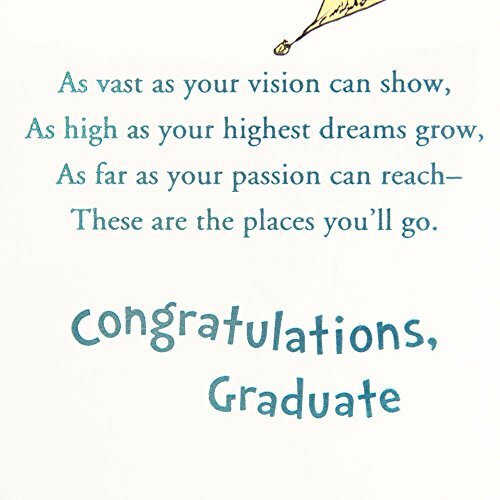 Congratulations, Graduate. 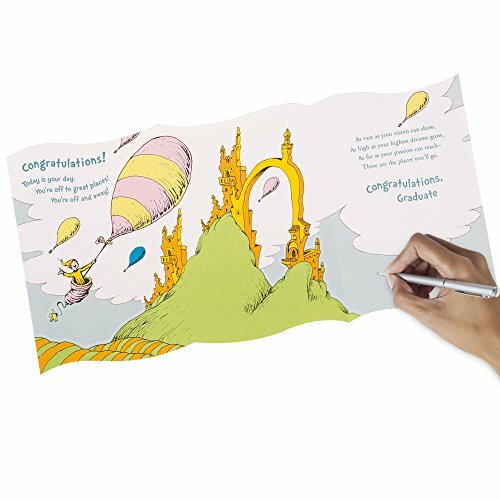 Printed on high quality paper stock, this graduation card is a fun and thoughtful way to celebrate and congratulate any graduate on your list. 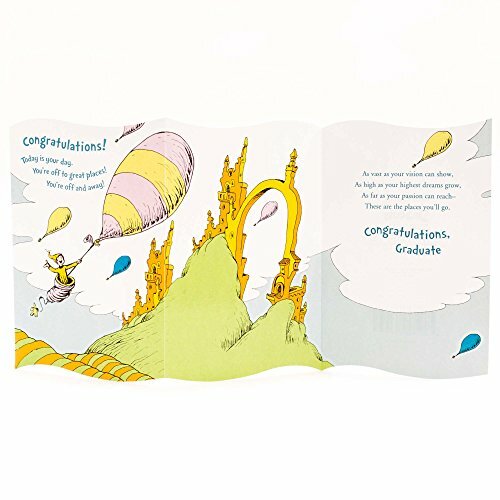 This card's design features balloons flying over a fantasy landscape as depicted in Dr. Seuss's book, "Oh, The Places You'll Go!"